Candace Lately: What is West Virginia's Signature Dessert? 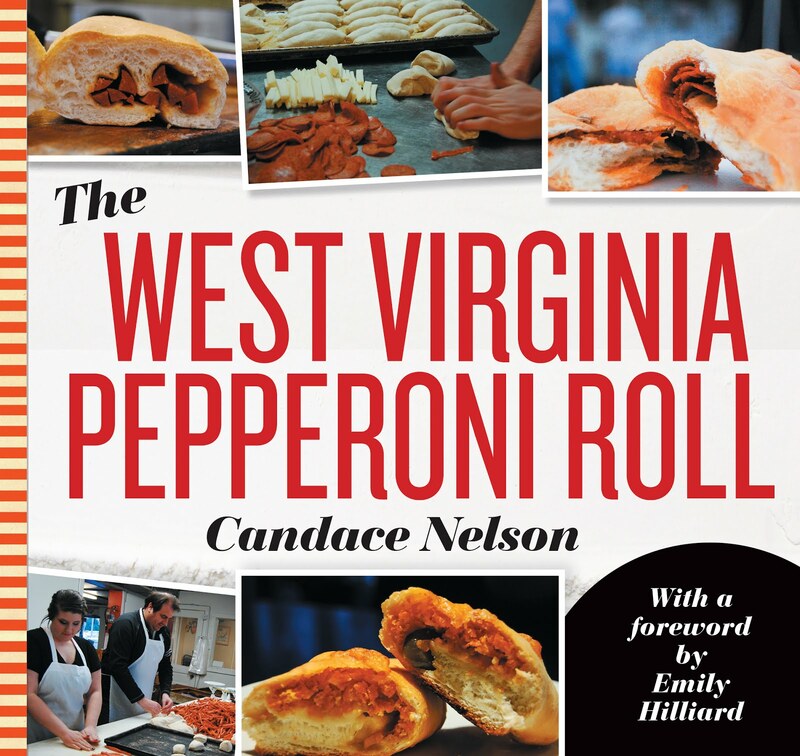 We know the pepperoni roll is the unofficial state food of West Virginia. The savory snack has roots in our coal mining history, so it’s a natural fit as our culinary totem. Not to mention, it’s the ultimate crowd-pleaser with its versatile ability to be a full meal or roadtrip companion. Wedding favors or ballpark food. Bakery staple or school lunch. It’s everywhere. But when the sweet tooth comes calling, how do West Virginians answer? What is West Virginia’s sweet treat equivalent of the pepperoni roll? Is there a dessert that is deeply ingrained in our culture? It has to be something iconic and found all over the state. Maybe something made from fruits that are grown in West Virginia or maybe a saccharine dish that you can find at celebrations. Or maybe just something that elicits fond memories. Ohio has its buckeyes (delicious peanut butter balls dipped in chocolate), Florida has key lime pie (a sweet, tart no-bake dish), and Massachusetts has Boston cream pie (a round, two-layer cake filled with custard and frosted with chocolate). Alaska has baked Alaska (a heap of ice cream and cake topped with browned meringue), New York has cheesecake (mmm), and the list goes on. What would we name as West Virginia’s signature dessert? This was a question posed recently by my friend Ann Ali Semenik, who threw her support behind “no bake cookies” – or peanut butter oat cookies, as her gram would call them. No bake cookies combine cocoa, peanut butter and oatmeal to create a quick, tasty cookie without using the oven. These cookies are the sweet treat she most closely associates with our state. RULES – It can’t be apple pie, because America has already claimed that for everyone. And, it can’t be a brand or a dessert only found at a specific restaurant/bakery. So, no strawberry pie at Jim’s Steak and Spaghetti House or humongous banana split at The Poky Dot or blueberry buttermilk pie at Bluegrass Kitchen. Both Slate’s “The United Sweets of America” and PopSugar’s “Taste the States: 50 Iconic American Desserts” designed Shoofly Pie for West Virginia. The sweet, sticky pie attracts flies that need to be shooed away. Molasses pie appears to be invented by the Pennsylvania Dutch, but since “molasses is a beloved ingredient throughout Appalachia,” it earned West Virginia’s selection. Indeed, the West Virginia Molasses Festival is held every September in Arnoldsburg since 1967. In the same vein, The Daily Meal named molasses cookies as West Virginia’s favorite. Complete with sugar, ginger, and molasses, these chewy cookies are apparently very popular here. Business Insider claims West Virginia’s best dessert is a classic sugar cookie. While this is probably true for many states, there’s nothing that specifically screams “West Virginia” here. This Appalachian favorite certainly has a strong case. Not only is it made from our state fruit, but it’s so versatile: slather it on toast, layer it between slabs of cake, eat it with a spoon. And, there are festivals in its honor. 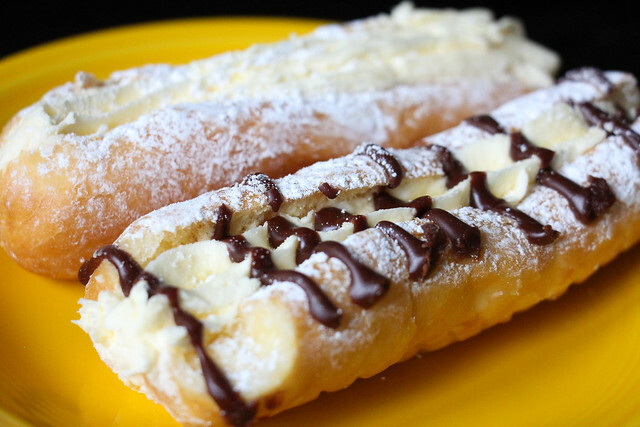 Donut shops from the Northern Panhandle to the southern coalfields sell a specialty donut that is long, split in the center and filled with cream. In Charleston, Spring Hill Pastry Shop sells their “hot dogs.” In Moundsville, Quality Bake Shoppe bakes their “mad dogs.” It’s a thing. Potato Candy originated in the South during the Great Depression; the treat was affordable and only called for a few ingredients. And, yes, it does actually contain potato. Drawing on the Appalachia fruit, paw paw ice cream is a cool, unique option for signature state dessert. But, the versatility isn’t there and it’s not quite as ubiquitous as some of the other options. This homestyle dessert can certainly be found all over. And, it can incorporate our state apples in a bit of a different way. West Virginia is home to not one, but two different apple varieties: Golden Delicious and Grimes Golden. Apple dumplings may not be uniquely West Virginia, but it’s hard to deny this contender. What do you think is West Virginia’s signature dessert? Based on a recipe from the Food Network, these peanut butter oat cookies from Ann Ali Semenik are reminiscent of her gram. Just be sure to seal them in Tupperware in the refrigerator after they’ve set up, too. Line a baking sheet with wax paper. Bring the sugar, milk, butter and cocoa to a boil in a saucepan over medium heat, stirring occasionally. Let boil for one minute. Remove from the heat and add oats, peanut butter, vanilla, brown sugar and salt. Stir to combine. Using a table spoon, drop spoonfuls of the cookie mixture onto the baking sheet, and let sit at room temperature until cooled. They will sit up after about 30 minutes. Refrigerate in an airtight container for up to 3 days.